Introduces & explores key ideas in Physics! 17 lesson plans, about 8-9 weeks of study, 20-30 hours. The final Science course in Step 2, ending the fourth semester (the second year) for ages 7-8, and for students of any age who are developing literacy. Physics is simply introduced in a hands-on approach that will engage the student, and have him looking at how this universe functions, and how it changes his life. Matter, energy, force, gravity, light, heat, the law of cause and effect are all investigated in 17 fun lessons that will place the student "in touch" with the universe and its rules. 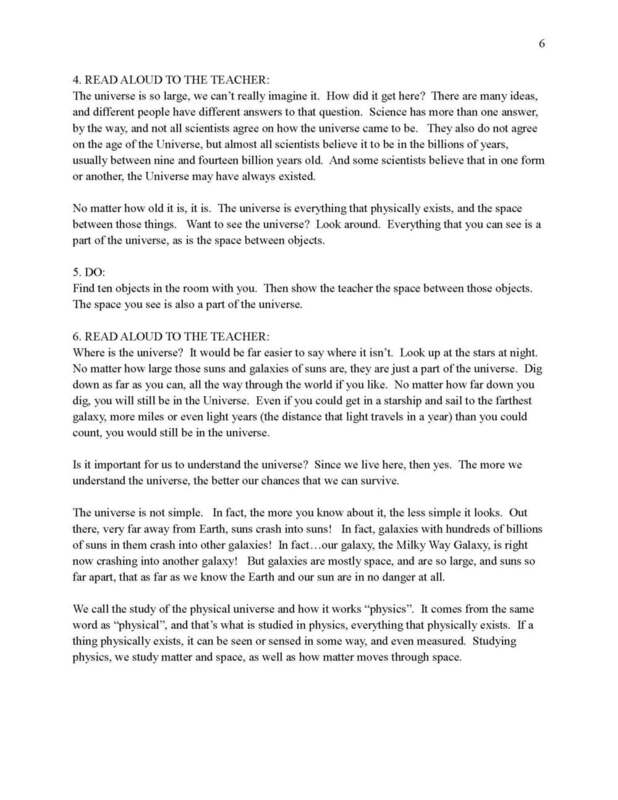 A great way to start the student toward an understanding of physics. The course develops literacy and vocabulary in the process of teaching, and helps prepare the student for more detailed work found in Step 3.